What was this guy thinking? 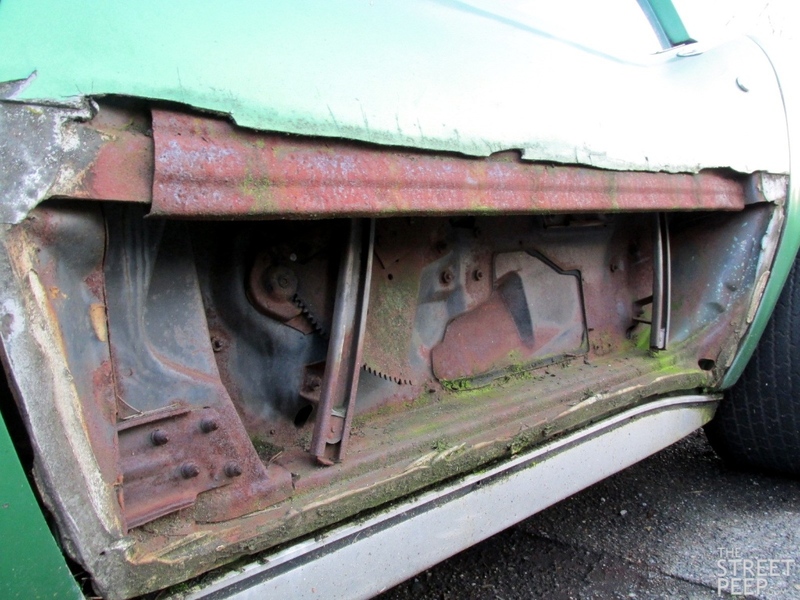 This car isn't getting filed, because it's been in this condition for over 5 years. Great old corvette that's sadly headed to the scrap heap soon. THIS IS CRIMINAL! 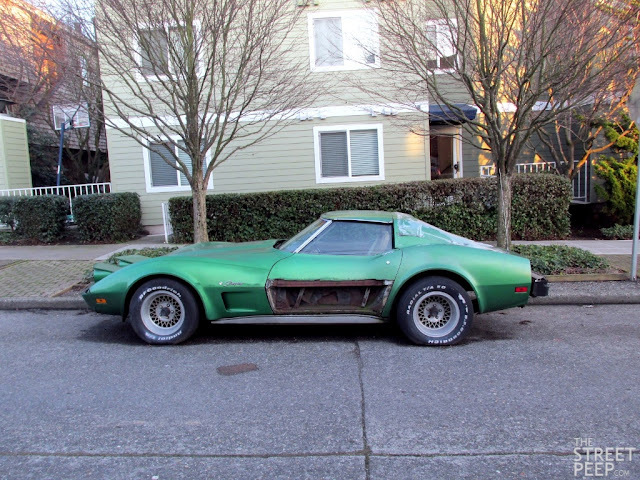 Some Corvette club should buy the car from this idiot fix it to stock condition and raffle it off for a charity. Sorry, jsfury, but how is this CRIMINAL? Jeffrey Dahmer was CRIMINAL, this is automotive ENTROPY! It's a C3 'vette, not a Miura. What? 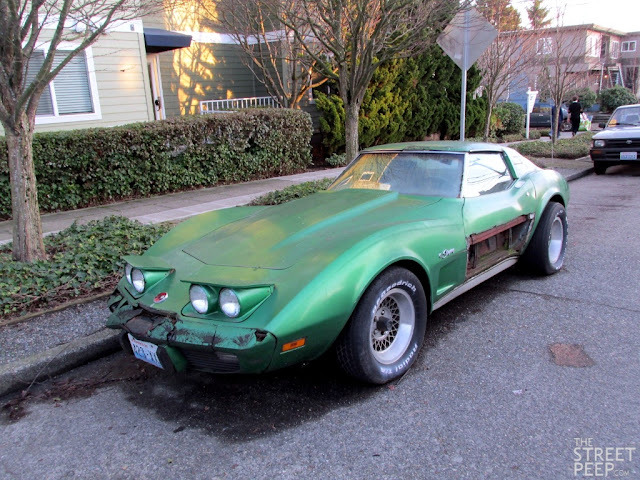 You run a site that appreciates the forgotten land yachts and econo boxes of yesteryear - I would hope you can appreciate a C3 in need of some love! Wow that thing looks like a dead crocodile. Sad. 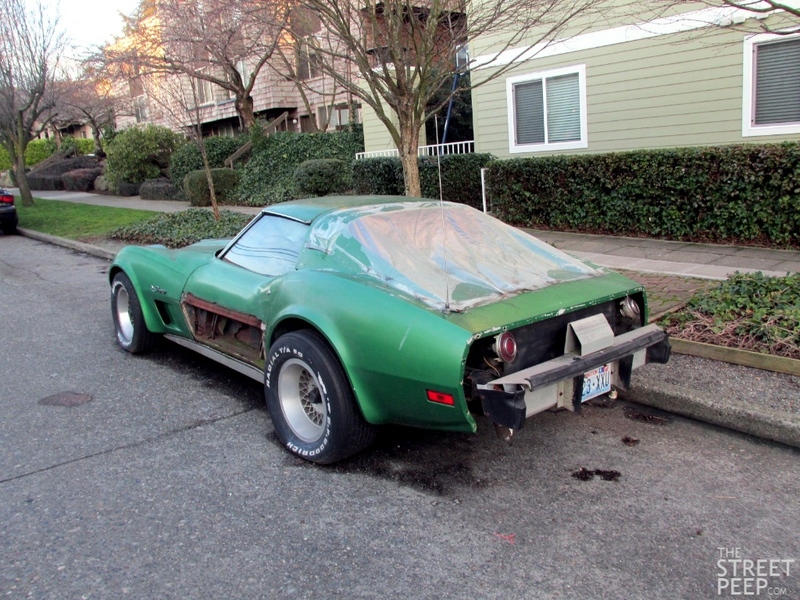 I don't care if it's just a c3 corvette, this is an act of violence. Looks like Barney the dinosaur tried to eat it for lunch, didn't like it and spat it back out. I guess I'll chime in since this post has stirred up such strong opinions. I love this car. I love decrepit vehicles in general. I honestly never consider that the owner may be neglecting or abusing the vehicle. Just the opposite in fact. When I see a car like this, whether it's a Ford Fairmont or a Maserati Quattroporte, I just imagine the owner is some eccentric person that would do pretty much whatever it takes to keep their vehicle on the road (or parked on the road). 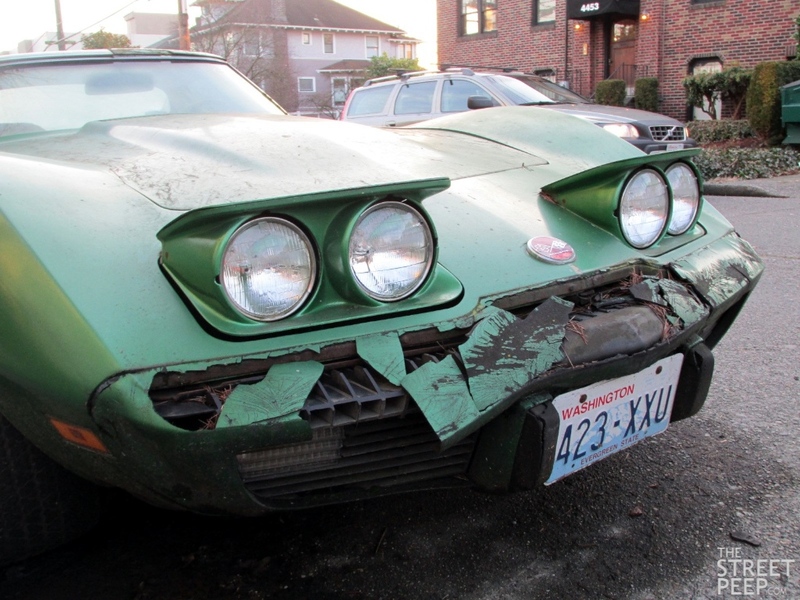 Maybe they're planning a restoration or maybe they think it's perfect the way it is, but we all love to point and stare and the world would be boring without busted up C3's. I agree Gardner, as I said before as long as it isn't simply wasting there and it actually is a running car, I applaud the owner for still using it. Most people would be embarrassed to drive something like this but a dedicated and loving owner wouldn't. The jerry-rigged taillights in particular just get me. Bravo for doing whatever it takes to keep your beloved car roadworthy.